Back in April, we ran an Instagram competition to win an engagement shoot with one of the very best cutting-edge wedding photographers in the business, LUZ Weddings. Joelle and Jason were the lucky winners of our competition, and we are totally OBSESSED with the results of their fantastic shoot (which ended up taking place post-wedding due to scheduling, hence the bridal attire!). 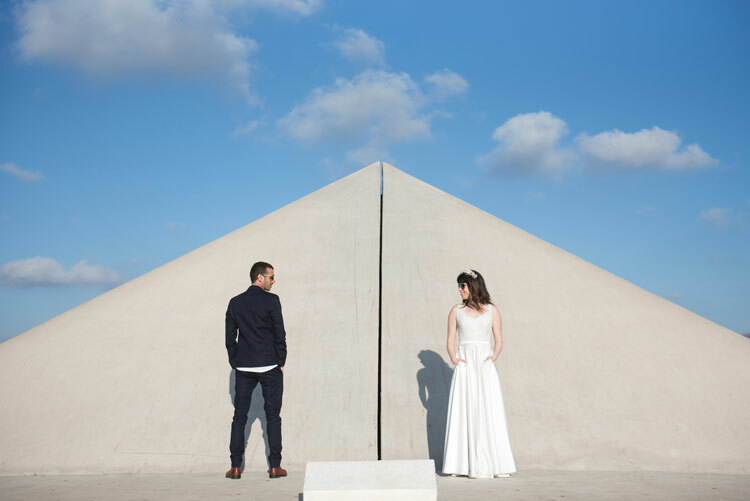 Shooting around Stratford, London, photographer Shay from LUZ found the absolute coolest backdrops to make these photos really pop — bride Joelle says these images look like artwork rather than just your standard engagement pics, and we could not agree more. 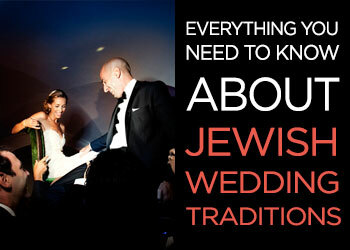 LUZ are based in Tel Aviv and regularly work all across Israel as well as in the UK. 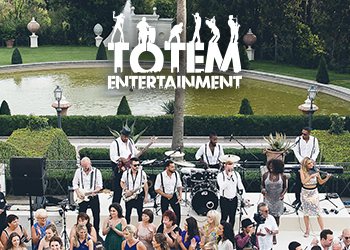 If you’re looking for something a little different for your wedding photography, we could not recommend them more strongly. Their architectural inspiration and artsy aesthetic make for truly one-of-a kind photos, unlike any we’ve seen before. Joelle, the bride: My new husband, Jason and I were very excited to win the Smashing The Glass competition photoshoot with LUZ. We had seen their photos on social media and loved how different they were. Originally, we had won an engagement shoot but by the time we could schedule it, Jason and I were already married (we got married at The Landmark, London on 24th June this year). We thought it would be a great opportunity to take some more photos in our wedding attire, and they would be a stark contrast to the traditional wedding photography we had on our day. Shay from LUZ decided on an amazing building as the focal point of our shoot, and I could see how the architecture fitted perfectly into his style of photography. The day arrived, and in the boiling hot summer we have had, typically it was a cold and windy day with showers throughout, and I was not best pleased to be wandering around Stratford in my wedding dress in those conditions! However, our photographer still managed to make it fun and enjoyable and it was great to watch his creative mind at work as we stood in various positions and backgrounds. We were so happy with the results of the shoot, they look like artwork rather than simply photos, and we can’t wait to display some of our favourites in our home. 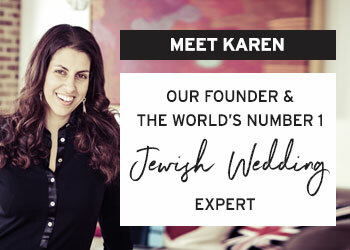 Before our wedding, I did a lot of research on photography and I can definitively say that LUZ brings something new and different to the Jewish wedding scene. His ultra modern style documents special moments in a unique way and Shay from LUZ team was an absolute pleasure to work with. I would definitely recommend LUZ, particularly if you are looking for wedding photography with an edge. So there you have it! Just a little different from your typical engagement shoot, right?! 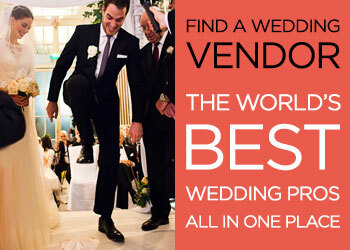 You can get in touch with them at info@luz-weddings.com or + 972 (0)73 374 2148. 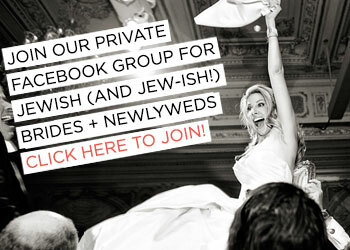 And don’t forget, LUZ Weddings offers members of our Brides Club a 10% discount off any package!